Who Cares About Women’s Rights? NOW Cares! Women still have not achieved equality. We’ve come a long way, but we’re not there yet. Some things are better—educational and career opportunities—but women are still underpaid. 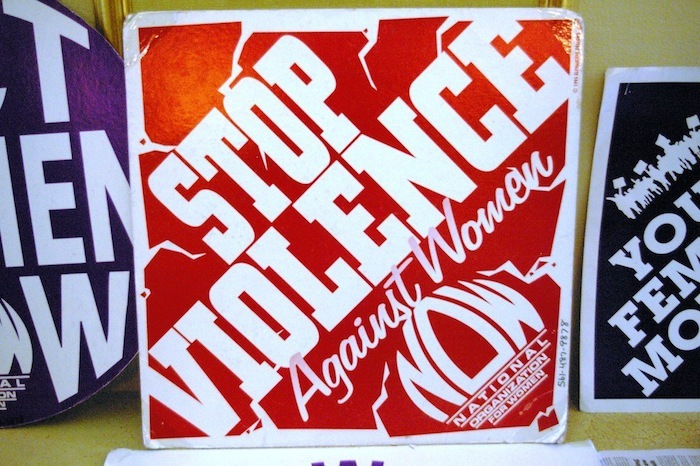 Violence against women in the home and in the community is always an issue, and our rights to our own reproductive choices are being attacked by U.S. and State legislators. In 1970, fifty years after women finally received the right to vote, a massive rally of thousands marched down Fifth Avenue in New York City. Congresswoman Bella Abzug sponsored a bill declaring August 26th Women’s Equality Day. Every year on Equality Day, we honor courageous feminists. A feminist is a supporter of women’s rights and opportunities equal to those of men. And yes, men are also feminists. They want equality for the women in their lives. Palm Beach County NOW is the largest chapter in the state of Florida and we are growing every day. We were founded in 1973 by women professors from Florida Atlantic University (FAU) and their supporters to fight for equal pay and tenure. Our chapter founded the Feminist Scholarship Fund Inc. in 1995 to assist in the education of Women’s Studies students at Florida Atlantic University and to future feminist leaders. We support the Center for Women Gender and Sexuality Studies at FAU. We also created FACTsCourtWatch.org (Families Against Court Travesties) to bring justice in the judicial court system. The South Palm Beach County Chapter was founded by professors from Florida Atlantic University. Using the moniker “Feminists United”, their goal was to fight for tenure for women professors. Dorothy Stetson and Frankie Myers were two of the founders. Dr. Myers founded a scholarship fund for women’s studies students in memory of her daughter Laura Myers. The South Palm Beach County Chapter, led by County Commissioner Dorothy Wilken, located funds and AVDA was formed. AID TO VICTIMS OF DOMESTIC ABUSE opened a shelter for women and children in Delray Beach. OPERATION RESCUE blockaded the medical facility of a Boca Raton physician because he performed abortions. Our chapter, led by attorney Barry Silver, successfully sought a permanent injunction through the RICO anti-racketeering laws. We won a large financial settlement and blockades stopped throughout the country—another feminist success! NOW members and health care groups protested the promotion of tobacco to women and girls via the VIRGINIA SLIMS tennis tournament in Delray Beach. Tobacco is the number one killer of women in America. Twice as many women die of lung cancer than breast cancer. After two tournaments of our protests, Virginia Slims tennis was no more. We honored Beth Ann Faragher and Nancy Ewanchew at our Equality Day celebration. These two Boca Raton lifeguards were sexually harassed by their supervisors. When the City of Boca Raton did not help them, NOW did. We connected them with Karen and Bill Amlong, attorneys who took their case all the way to the U.S. Supreme Court where it decided in their favor, seven to two. This case made legal precedent for victims of SEXUAL HARASSMENT. Inspired by the effect of law, Beth Ann became an attorney practicing in Denver as a public defender. The FEMINIST SCHOLARSHIP FUND, INC. was founded by members of SPBC NOW and their supporters. The fund has assisted over one hundred feminists to pursue their educational goals. They coordinate their scholarships with the George Snow foundation and Florida Atlantic University-Women’s Studies department. The North Palm Beach County Chapter was founded at the urging of then FL NOW President Clarice Pollock, and with much help from members of South Palm Beach County NOW. The founders included new members, at-large members, and members of the former West Palm Beach Chapter. NPBC NOW members campaigned for electoral fairness and represented NOW at rallies against the Iraq war. We leafleted Attorney General Bob Butterworth against restrictive abortion laws. After hearing Mona Reis speak about her abortion provider experience, members began volunteering as patient escorts at Presidential Women’s Center. We founded “FACTS”, Families Against Court Travesties, as a response to pleas for help from parents who have been wrongfully deprived of their children and have been denied due process in the Family Courts. Many of these mothers’ and children’s primary tool was a Court Watch group made up entirely of volunteers who monitor hearings and fill out evaluation forms. We gave testimony at Supreme Court hearings on equality and discrimination. Because of our activism, Florida State NOW has formed an active “Child Custody/Family Court Committee” and participates in National NOW’s “Family Court Advisory Committee”. We took part in the March for Women’s Lives. 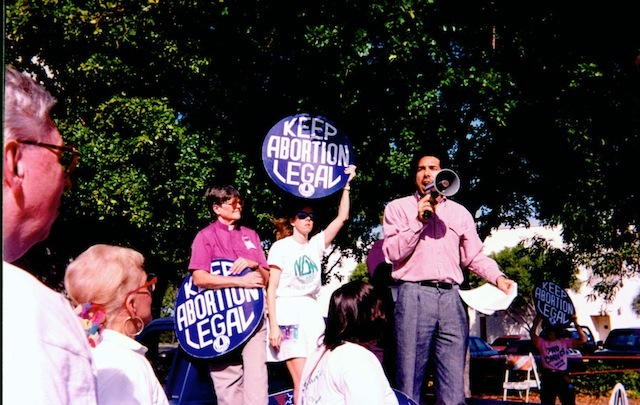 We responded to the arson attacks on Womencare in Lake Worth (2004) and Presidential Women’s Center (2005) and raised funds for EMA, funding abortions for poor women. NPBC NOW members testified before the School Board (successfully) for comprehensive anti-bullying rules that protect LGBT students. We march yearly in support of lesbian rights at the Palm Beach County Pridefest. We hosted FL NOW State Conference. The WOMEN PRISONERS PROJECT began, as a spin off of court watch. We visited and saw, firsthand, the poor conditions in our jails and the growing population of incarcerated women due to the growing for-profit prison industry. Hosted FL NOW State Conferences, and advocated for universal healthcare and other national NOW initiatives. The North and the South Palm Beach County Chapters of National Organization for Women merged as the Palm Beach County Chapter. 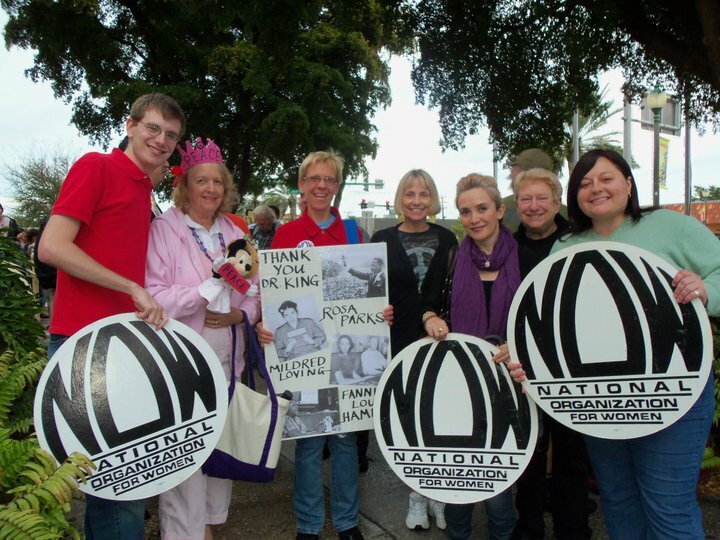 The North Palm Beach Chapter of NOW had been working on women’s issues with a focus on equal rights issues for the LGBT community. The South Palm Beach County Chapter had been focusing on family court and education issues. As we brought the groups together, it gave us a well-rounded expertise on women’s issues and the work that needs to be done in Palm Beach County.